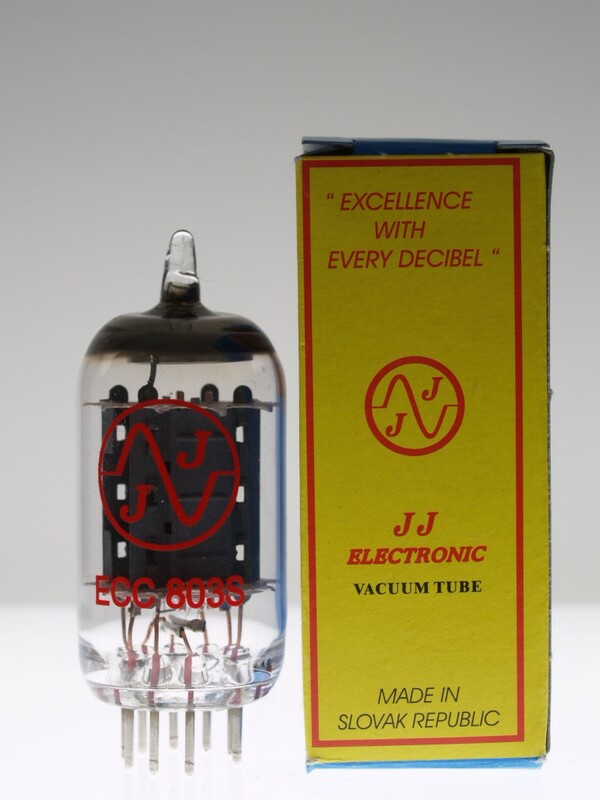 The JJ ECC803S are longer plated 12AX7's, with a spiral filament that reduces noise. Thick tone, these are quite popular with many of our customers. Nice in the phase inverter spot. I finally ordered the tubes you recommended for my Orange Rocker 30. What a difference! They amp just came back to life and has never sounded better. This is what an Orange is supposed to sound like! The tubes got here in Southern Oregon in three days and I could tell that extra care was taken to pack them so they would survive the trip. Thanks again, you guys rock, and now, so do I! I grabbed several different tubes to try out in my GK Fusion 550 bass amp. The JJ803S adds a thickness that's perfect for playing near the bridge on my G&L ASAT. This setup sounds a bit thin with most other tubes, but this one gives a great, extra fat low end and really brings out the low mid growl.